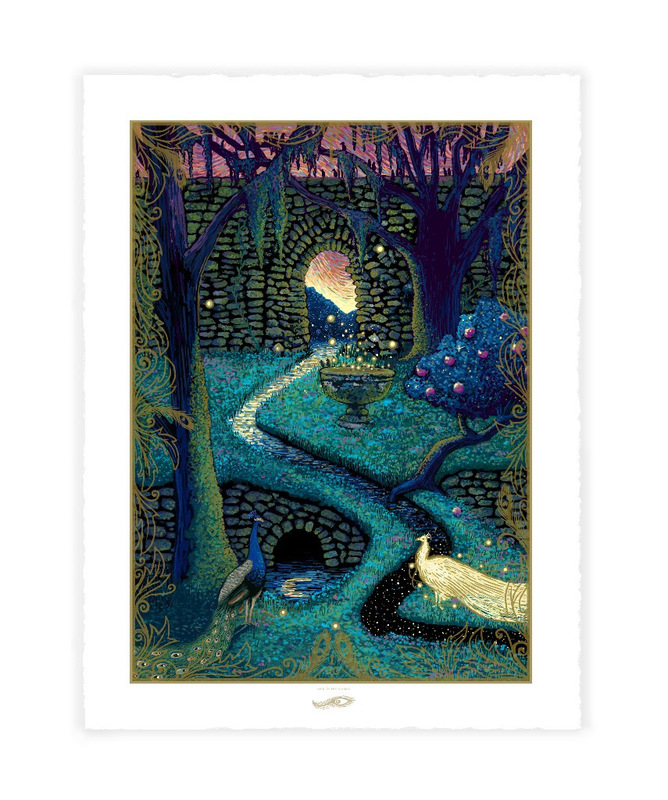 "Back in the Garden" is an 18" x 24" high quality giclee print on archival acid-free paper with a hand-pulled semi-transparent metallic gold screenprinted layer. Prints are signed and numbered in a 1.5" white border with deckled edges. All prints come with an accompanying 4" x 6" printed card of the poem below. 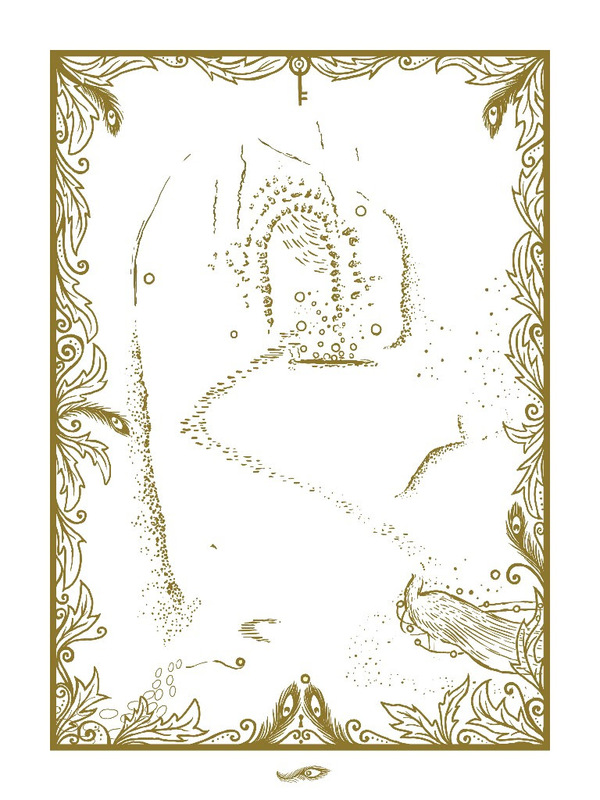 Below you will also find the separated screenprinted layer of the print. It’s still here like we never were. We will never see the end. As if we were back in the garden. Awake, and not lost in the dream. Everything is produced in our studio in Los Angeles. Please allow 2-3 weeks after the edition closes for printing and shipping. There will be a small amount of prints available at the Brewery Art Walk April 7th and 8th. This piece was originally created for a book cover, releasing later this year. 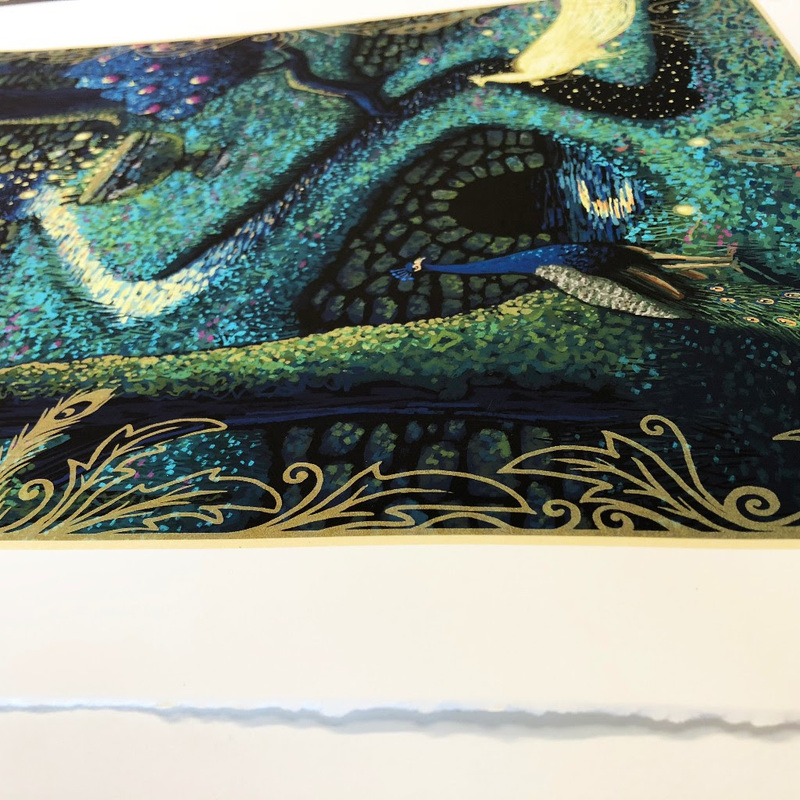 There is a second version of this print with different elements (a man and a dog, no golden peacock or screenprinted layer) that will be released with the book. 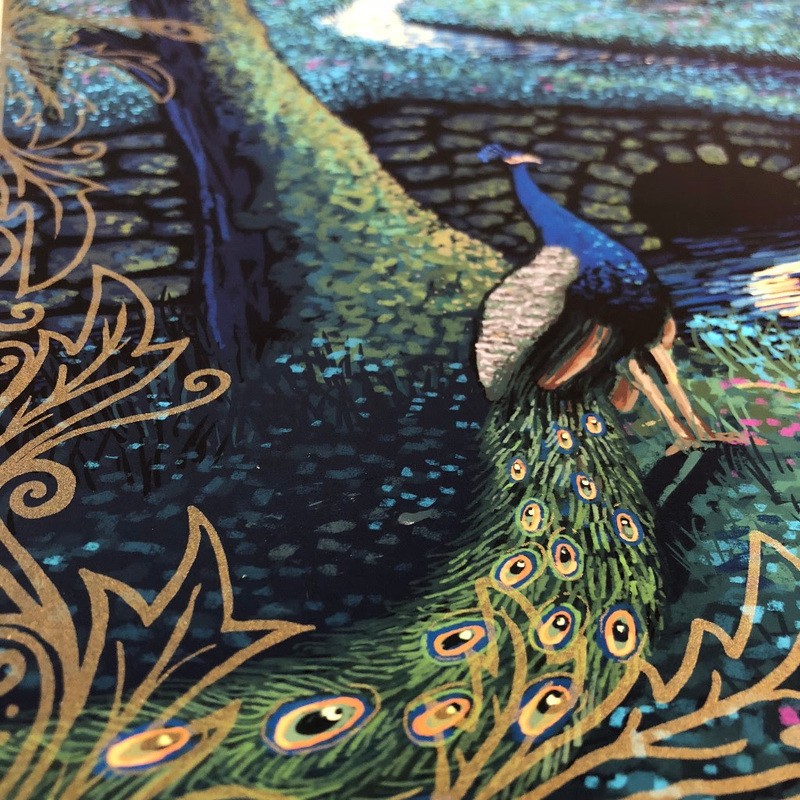 It is a limited edition of 100 prints and a portion of the sales will go to the Wild Bird Fund.